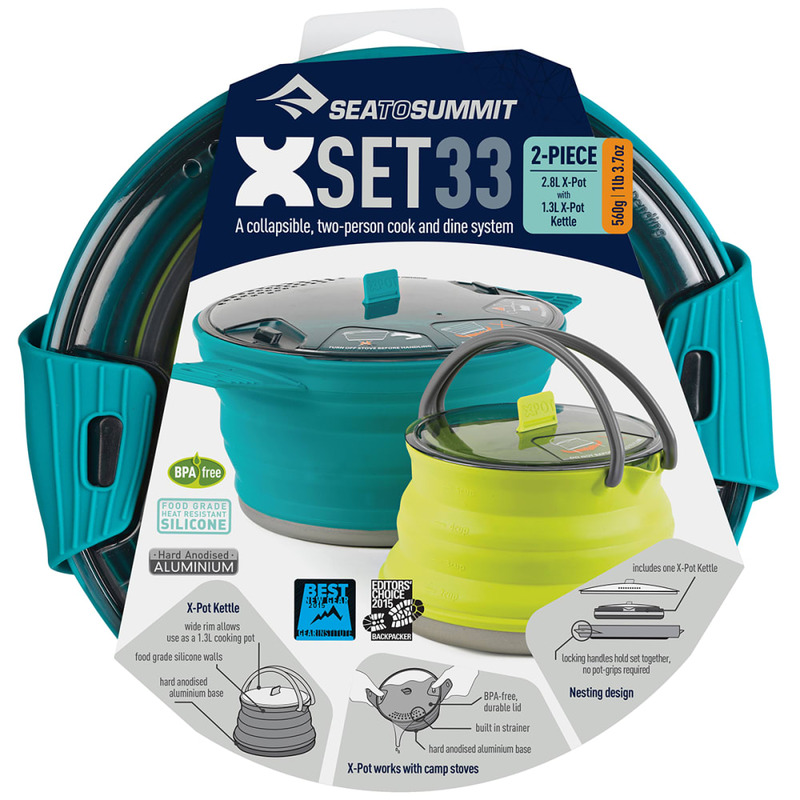 This versatile, two-person cook system includes one pacific blue 2.8L X-Pot and a lime 1.3L X-Pot Kettle. 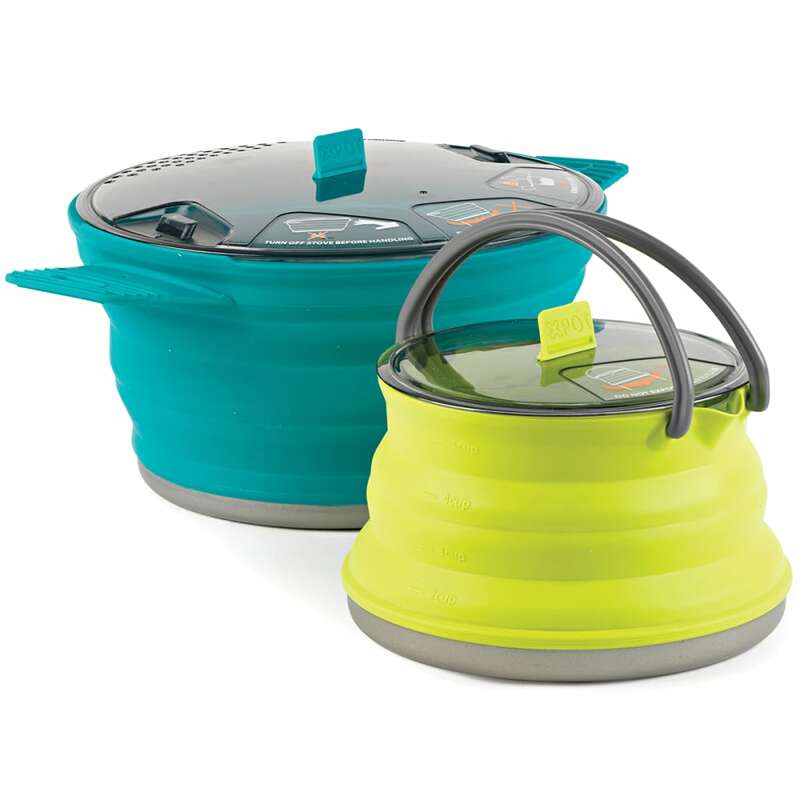 The X-Pot Kettle's ability to be used as a small pot enables the outdoor camper to either prepare an entree, soup, or a warm drink with their main meal. Alternatively, use it to cook your pasta, and use the 2.8L X-Pot to create your sauce of choice at the same time! 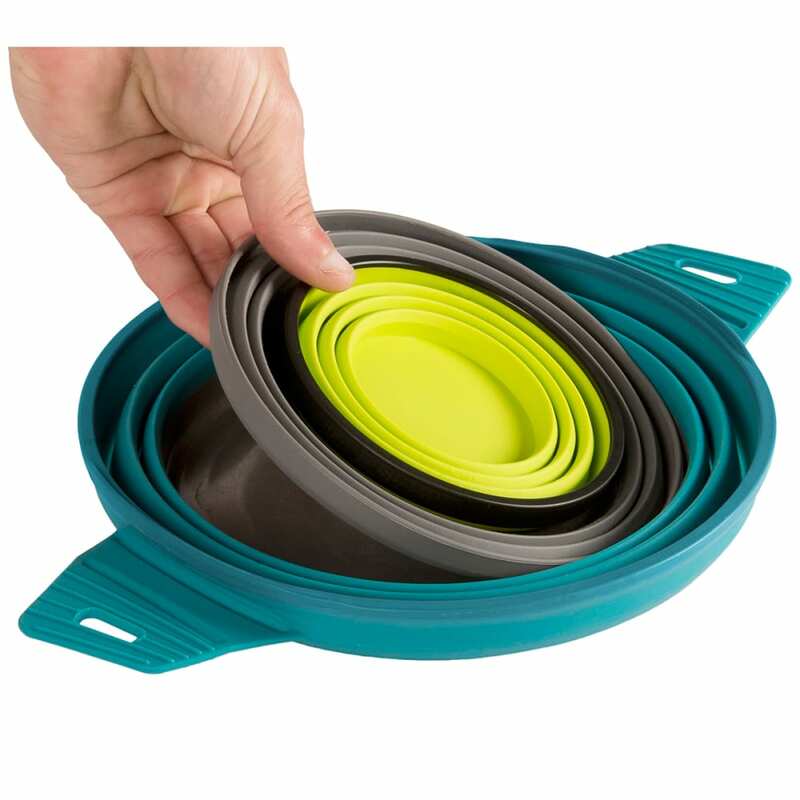 Made from flexible food-grade silicone and hard-anodized aluminum bases, the collapsible X-Series is lightweight, compact, and durable. 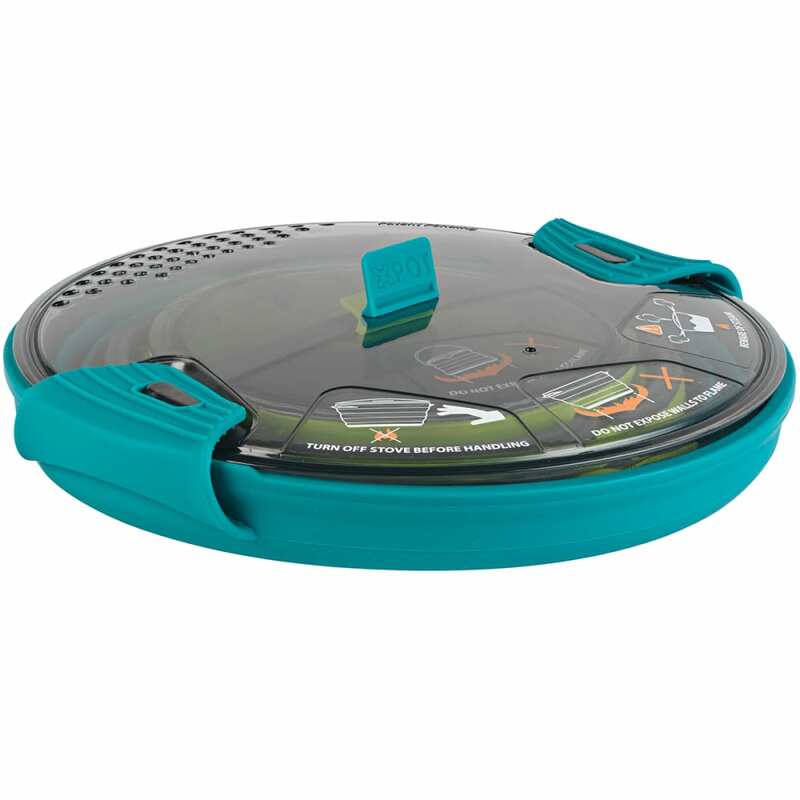 Includes one pacific blue 2.8L X-Pot and a lime 1.3L X-Kettle. All of the pieces are calibrated as measuring cups, with measurements imprinted on the inside.